You'll be £20.00 closer to your next £10.00 credit when you purchase Great British Family Names and Their History. What's this? Order within the next 8 hours, 19 minutes to get your order processed the next working day! For better or worse, what we are is often determined by our family; the events that occurred many years before we were born, and the choices that were made by our forebears are our inheritance - we are the inexorable product of family history. So it is with nations. The history of Great Britain has been largely defined by powerful and influential families, many of whose names have come down to us from Celtic, Danish, Saxon or Norman ancestors. Their family names fill the pages of our history books; they are indelibly written into the events which we learned about at school. Iconic family names like Wellington, Nelson, Shakespeare, Cromwell, Constable, De Montfort and Montgomery… there are innumerable others. They reflect the long chequered history of Britain, and demonstrate the assimilation of the many cultures and languages which have migrated to these islands over the centuries, and which have resulted in the emergence of our language. This book is a snapshot of several hundred such family names and delves into their beginnings and derivations, making extensive use of old sources, including translations of The Domesday Book and The Anglo-Saxon Chronicles, as well as tracing many through the centuries to the present day. This would make a great reference book for anyone studying their British family tree. The entries are concise and there is plenty of information. Since these families were those who played vital roles in British history this book will be useful to anyone studying medieval as well as British history in general. Good addition to any genealogy library. Good information in a good format. Nice for anyone researching British history. It is interesting to see which families died out, which families lost their titles, which ones married each other, and which ones are still around. 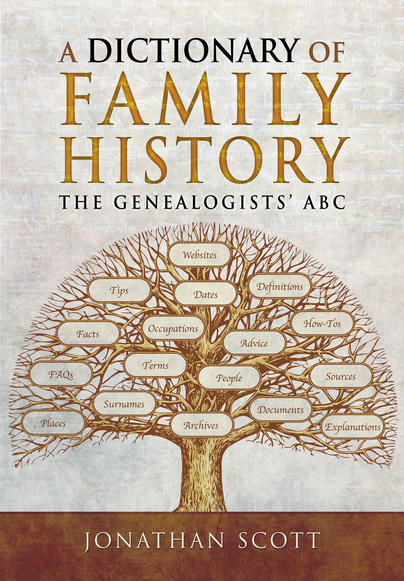 This is a brilliant reference book for anyone researching their family tree and those with an interest in the origin and history of their surname. An extremely well researched account, organised by area which makes it more interesting to read. I headed straight to the North-East section, where I live and have ancestors, and was delighted to find names familiar to me and also in my family tree. Thoroughly recommend. Very readable reference book. The author took a very difficult subject and gave it interesting highlights. How amazing to find that some of the most notable names in Great Britain came from a hill, a creek or a dale. Those famous families lost favor and sometimes their lives by supporting the losing side during a war or belonging to the wrong religion. Sometimes I mused back to Downton Abbey plots as I received a better understanding of inheritance, death taxes and heirs. Quite a bit of research had to go into the creation of this book. 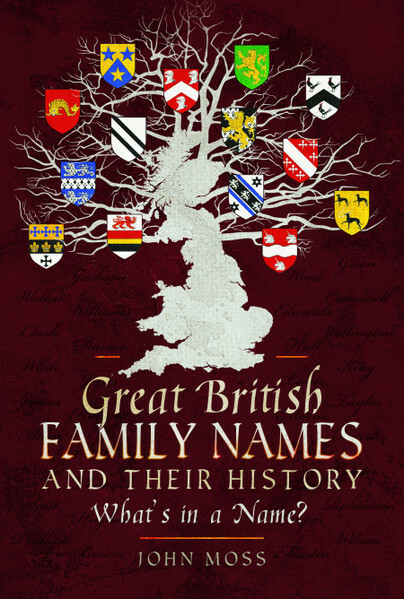 This was a well-researched snapshot of the history of great British family names written in a factual way. It is especially interesting to historians and genealogists. This book is great for anybody who would like to research their family's history, or who is interested in where their family name originated from. I actually liked the etymological aspect; especially tracing names back to their origin and original meaning that are not place names. My family has a strong English heritage, so I was looking for last names of relatives, and I did find a few. I also read several name descriptions for people I'm not related to because the history was so fascinating in general. I thought the writing was really accessible and interesting, not dry. Charlotte Bronte is even mentioned as an acquaintance of certain families, and I thought that was a neat tidbit. This is an enjoyable collection of potted histories of some of the ancient families of Britain and Ireland. I was hoping for a little more linguistic analysis of the names, but in most entries this is limited to a sentence or two, mostly pointing out that the name derives from a locational word. However, this is still very interesting, and has a lot of research behind it. It would be very useful for anyone interested in the British aristocracy, or for writers of historical fiction! As someone who is investigating their family tree this book was interesting and a valuable resource especially if one of the names in your tree is in there. It covers different families from different counties with many different stories. Well worth the read for history and genealogy fans. John Moss studied Fine Arts and English in Wolverhampton and Manchester Art Schools, before taking early retirement after teaching and lecturing in Art & Design. He founded a Graphic Design company in 1997. Retired at last, he began writing: a science fiction trilogy in 2013, and now his first foray into historical non-fiction.